The Wine Whip Mixer, Stirrer, Degasser from Fermtech is a curved and angled plastic rod that attaches to a 3/8 inch drill for easy mixing and degassing of your wine. If your Wine Kit calls for vigorous stirring to de-gas your wine or mix additives with your wine this whip can save a lot of time and effort. The Wine Whip is made from a durable plastic making it easy to clean and safe on glass. To De-gas your wine attach to drill and insert into wine through carboy opening. Turn on drill for 15 to 30 seconds until foam develops on top of wine. Turn off drill to allow foam to settle. 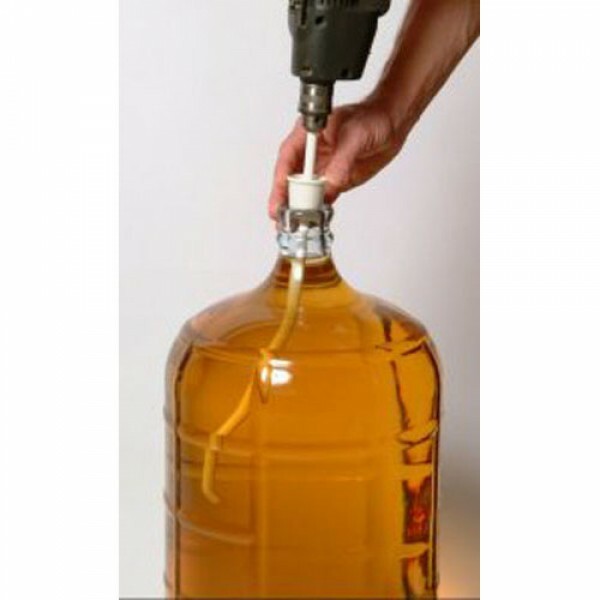 CAUTION – Do Not set drill at too high a setting or foam created may come out of and over the top of the carboy.